A slow week in terms of things to show for it, but felt busy regardless. Embroidery. I don’t recall ever having done any before (maybe cross-stitch?) 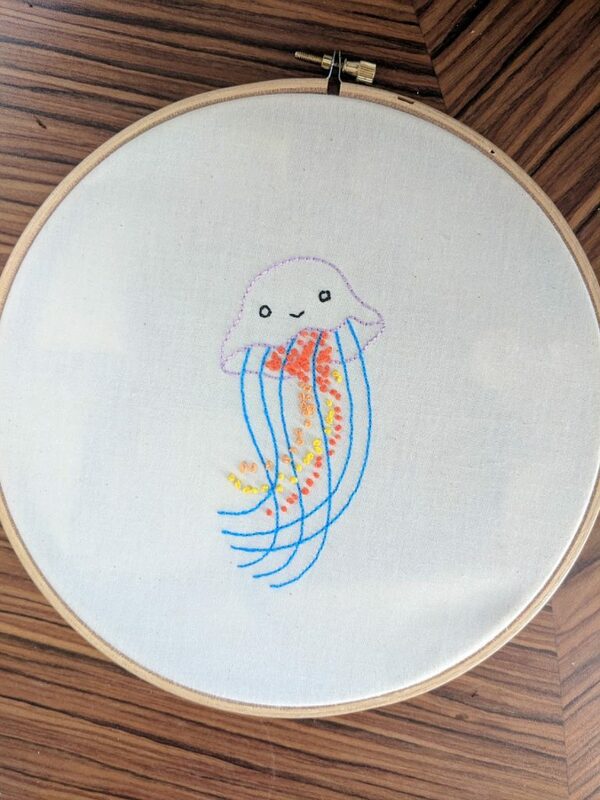 but I had bought this little jellyfish kit a while back and had some friends over on Saturday afternoon for a bit of a crafternoon, so I made it up. It’s a really relaxing thing to do. I drew up my own pattern yesterday to start another. 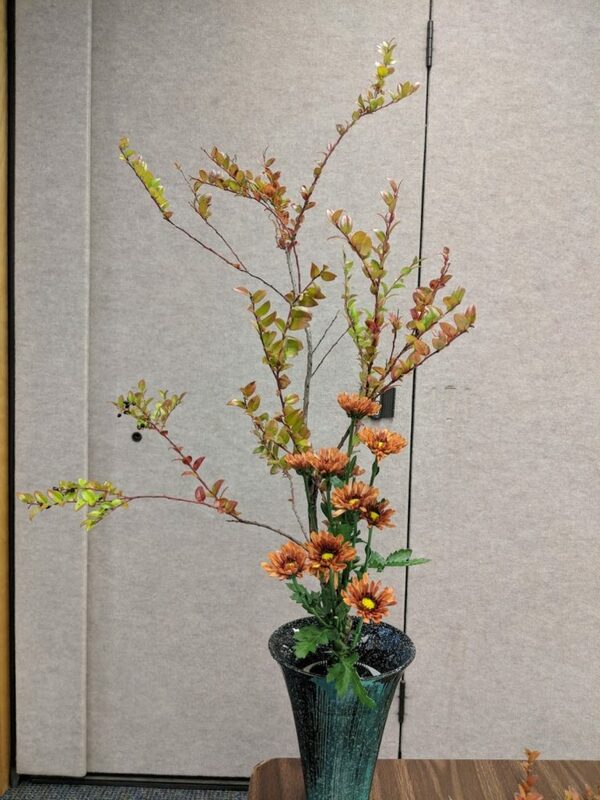 Ikebana follows the seasons – the plants you work with change over time, reflecting the year. Autumn definitely arrived this week with a green to orange two material shoka. There’s a podcast I listen to that was recommended to me by Jake earlier this year called All Killa No Filla. It’s by two women who chat about serial killers, but actually mostly just talk nonsense to each other about their lives. I love it. Not least because I miss the pub-like banter of British people, so it’s very homey for me. On Wednesday, Alex and I went to see them record live at Cobb’s Comedy Club, and it was rad. Mostly meetings. It’s the end of a quarter and we’re embarking on the OKR process for the first time at this company.